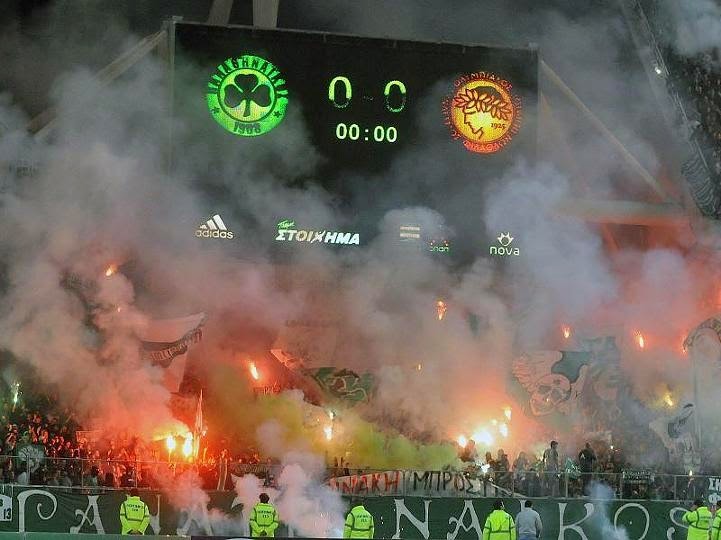 After yet another violent weekend in Greek football, league organizers have announced that the league will once more be suspended indefinitely. This is the third time the league will halt its schedule this season alone as violent conduct in the domestic league are at an all time high. 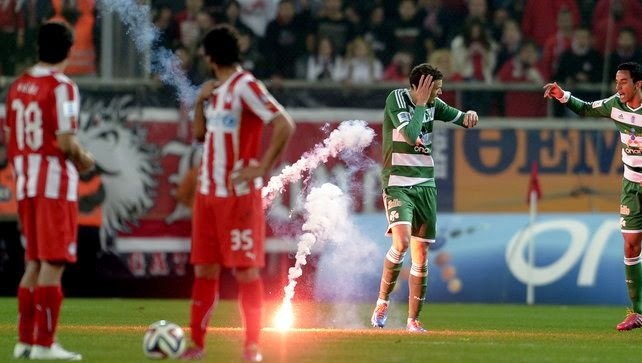 This past weekend the always heated affair between Olympiakos and Panathinaikos took place, a match-up which could be considered one of the most violent rivalries in the entire footballing world. Panathinaikos supporters stormed the pitch, clashing with riot police. According to organizers, the biggest issue the league is facing is the lack of an automated "smart-ticketing" system and a working CCTV or other camera system in and around the stadiums during matches. The deputy minister for Greek sports Stavros Kontonis had previously stated the the league will not commence next season unless all top tier clubs implement those two features, but whether or not the "threat" is serious and will the clubs follow these orders is yet to be seen. While this suspension is the third of its kind this season, the first one of the year came as a result of tragic news when a fan died after violent clashes between two third tier clubs. Organizers stated that they would like to resume play "soon" but a firm date has not been set as of yet.